Dawn of the Planet of the Apes' 2016 Sequel to be a Remake of Planet of the Apes? 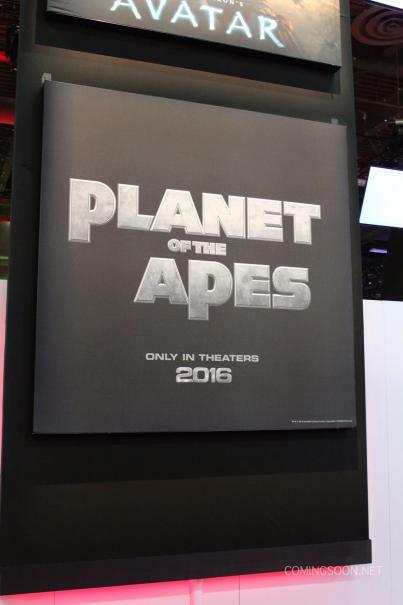 This image, taken today at the 2014 Licensing Expo in Las Vegas, shows clearly that the next installment in the Caesar trilogy will share the same name as the 1968 original and Tim Burton's ill fated 2001 remake. Whether this means that the movie will be an actual remake of the original or not remains to be seen. Though many are expecting, hoping Andy Serkis will return as Caesar, though likely an aged Caesar, it is highly likely the Icarus spacecraft teased in Rise of the Planet of the Apes returns to Earth to discover to birth of the Planet of the Apes. Of course this is mere speculation at this point, but it is highly unlikely the next instalment wont be a remake given its title. Image courtesy of Coming Soon! 2 Fan responses to Dawn of the Planet of the Apes' 2016 Sequel to be a Remake of Planet of the Apes? That would be so awesome if we would have a complete stand-alone 'Planet of the Apes' - Trilogy. But how is the story going to continue? What if earth sends an astronaut called 'Taylor' to past with the mission to avoid that 'Caesar' was born. So if 'Caesar' wasn't born, the apes wouldn't start a revolution or prevolution and in the end there won't be a 'Planet of the Apes'. That would be a story with a happy end. Good that you mentioned Icarus. I'm pretty sure that we'll see a post-apocalyptic earth like we've seen in the original but more dramatic and then the Icarus which was lost in space (a newsreport in 'Rise of the Planet of the Earth' reported that the Icarus was lost in space) returns to earth which is in the year 2673. I'm really excited to see the two sequels to 'Rise of the Planet of the Apes'. If they are like the first one or even better, they will be better than the original.